Interested in buying a used Mac and ridding yourself of old computer? With the current recession underway, many might be thinking of using cash in best possible way to save as much money as they can because even a used Mac will cost good money. On an average, usually a Mac would cost you two times more than the cost of your computer. Used Macs are as good if you’re aware as to what you are getting. First thing you should check is battery (when you are purchasing a laptop). Usually it is pretty worn out by the time it is sold. A brand new Mac laptop’s battery runs it for about three hours while any used one will be do much lesser. It’s much better to test the Mac you intend to buy by first installing a “coconut battery” application that will provide you lots of information on the status of battery. You can keep this useful program on your thumb drive and take it along when you go searching for you Mac. The next thing you should ascertain is its warranty to know whether it is still covered or not. If you are lucky to get a used Mac that is still under the warranty, believe me – you’ve struck gold! Apple usually provides a one year warranty on their computers but customers can extend that by two years. A third thing that usually goes wrong in used Mac is optical drive or disc drive. It’s great if you bring along few DVD’s along with you to play them on used Mac to see if it has any problem reading the disc. If the above test fails or you’re not comfortable buying a used Mac from a private sale, then you can also consider purchasing it from many online retailers. Many of them follow standard procedure checks and also provide three months warranty of labor and parts. This is a really safe option. Before using your hard earning money to purchase a used Mac, it is better if you do some research to find the market value of the Mac you intend to purchase. How can you do this? You can visit eBay or Yahoo stores and study the auctions there. 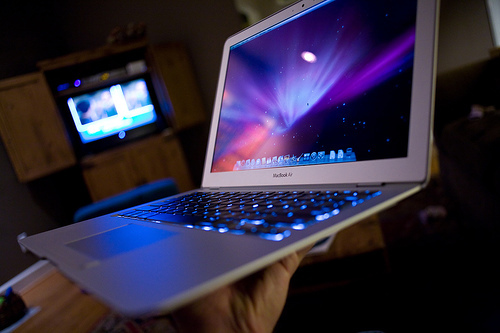 They are best places to determine the approximate cost of the Mac based on its specifications. You should be wary of some private sales selling some under valued Mac as normally used Macs command much higher price than PCs, even with much older models. Therefore, if somebody is selling you a used Mac at a ridiculously low price then that should have your alarm bells ringing as they may have something to hide about their machine.